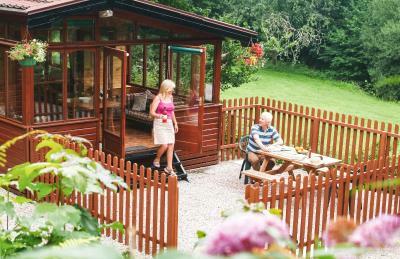 Lock in a great price for Churchwood Valley – rated 8.6 by recent guests! 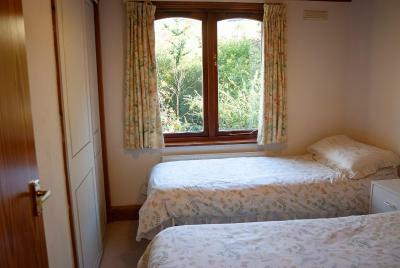 Booked the accommodation last minute for an Easter break. 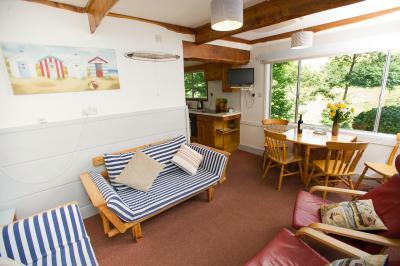 We loved the location, close to a beach about 5 minutes walk, great place for walks. Very relaxing, peaceful place. Cabin itself clean and tidy. It contained everything you need for a couple of days away. Kitchen well equipped. Staff very friendly and helpful. Small shop on site with essentials. The area is beautiful and peaceful. Amazing place to relax. Arrangement of cabins so none overlooked another. Feeling of being in a wood amongst trees (although I noticed several had recently been felled for some reason (no more please!). Closeness to beach/coast. 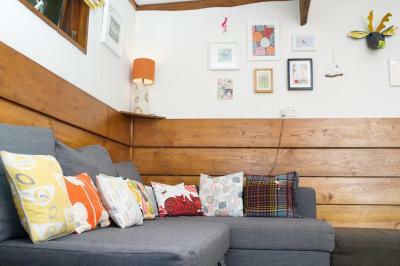 A lovely, compact chalet. Ideal for the two of us. Everything we needed was supplied. Such utter peace and quiet. Entertainment provided by wildlife visiting very close to cabin, birds and squirrels. Ideal position for walking part of coastal path. 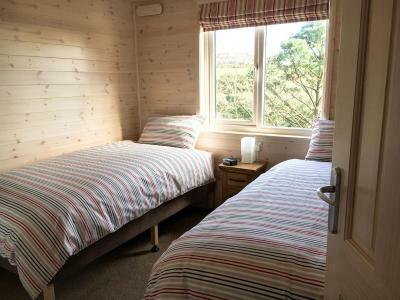 The cabins are practical and comfortable, warm with all the facilities you need for a holiday in the woods. It's about nature not luxury. Location, peaceful and very quiet. Beach/ Wembury Bay only 10 mins walk away. The peace and tranquillity was a highlight with direct interaction with a vast array of wildlife. It was a privilege to not having direct access to the internet and phone signal at the forefront of our daily activities. 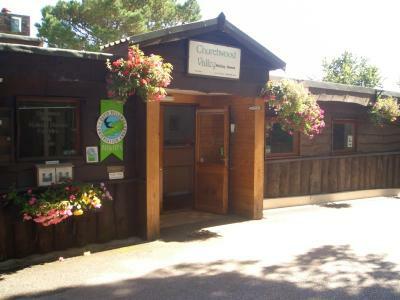 Churchwood Valley This rating is a reflection of how the property compares to the industry standard when it comes to price, facilities and services available. It's based on a self-evaluation by the property. Use this rating to help choose your stay! 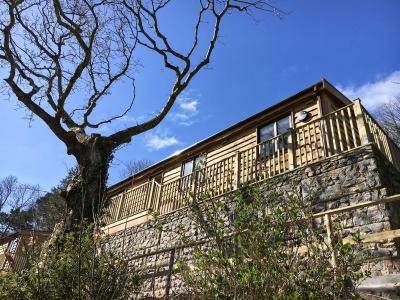 One of our top picks in Plymouth.Churchwood Valley in Wembury enjoys a naturally beautiful location on the south Devon coast. 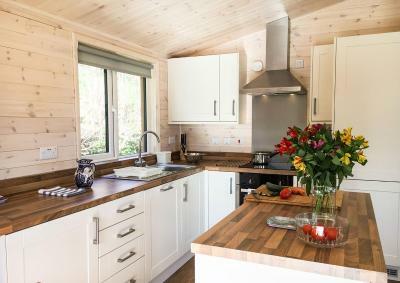 The park’s well-equipped wooden chalets lie in 75 acres of woodlands and fields, and benefit from on-site services including laundry facilities and a grocery store. 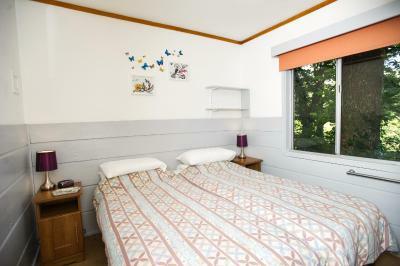 Comfortable bedrooms have twin beds, with the 6-person chalet also including 2 sofa beds. 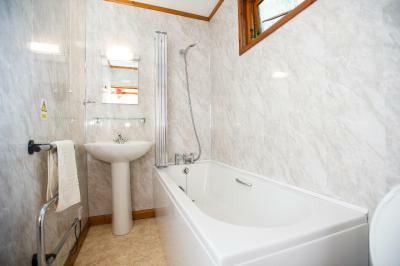 All have bathrooms with showers, and the 2-bedroom chalets also have baths. 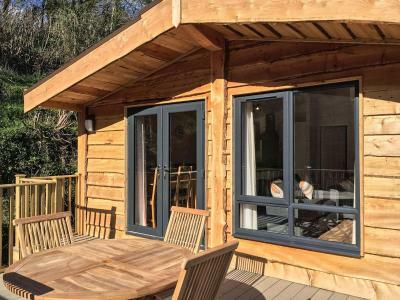 Each Churchwood Valley chalet has its own private patio area with outdoor seating and table, as well as a spacious living area with views across the park. 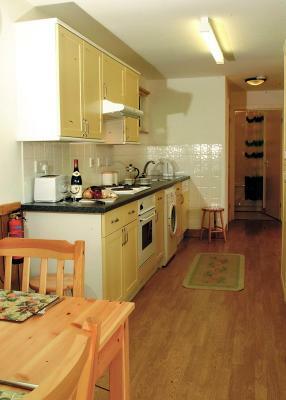 It offers a well-equipped kitchen for self-catering guests to cook in. 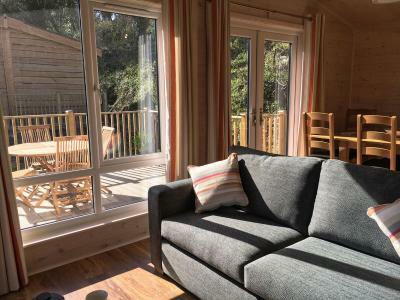 The park’s location is right by the coast path which leads to the River Yealm, where you can take a ferry to Newton Ferrers or Noss Mayo, where there are excellent pubs. In the other direction, walk to Mountbatten and ride the water-taxi to Plymouth, around 6 miles away. 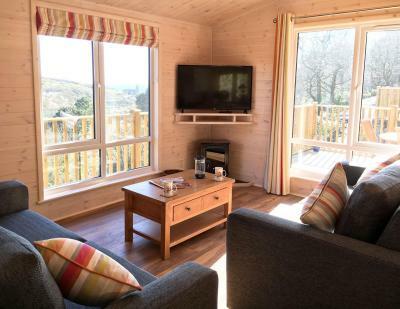 When would you like to stay at Churchwood Valley? 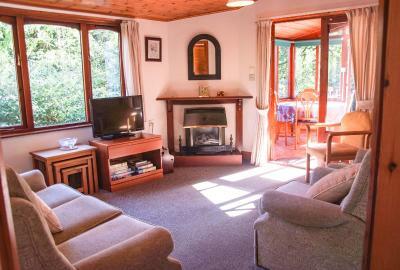 This chalet has a fully equipped kitchen, a bathroom, a twin or double bedroom and a lounge with dining area for 2 people. There is also a private patio area. 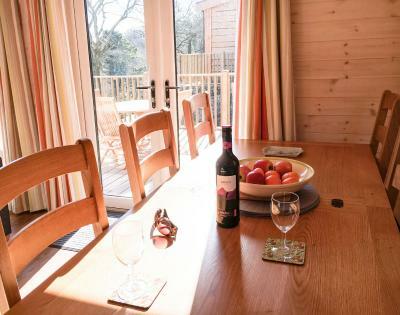 This chalet has a fully equipped kitchen and a lounge with a dining area for 2 people. There is also a private patio area. 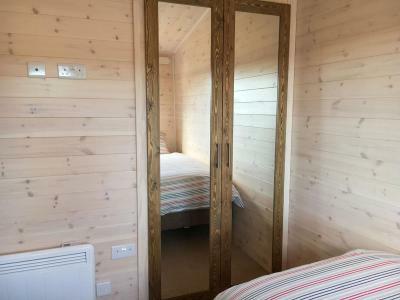 There is a twin bedroom and a bathroom. 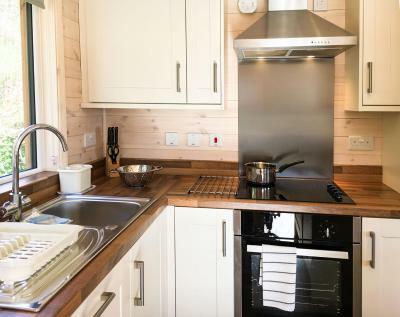 This chalet features a dishwasher, electric kettle and DVD player. 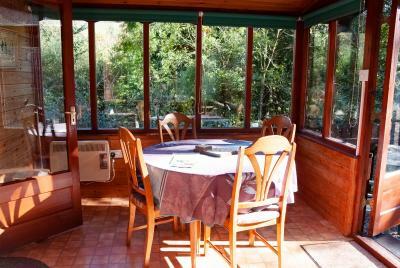 This bungalow features a well equipped kitchen, a log effect fire and a private patio. 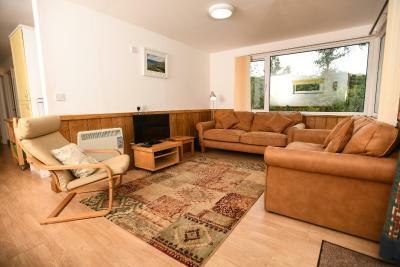 The spacious living area includes 2 sofas that can be folded out to a double bed and a TV with DVD player. 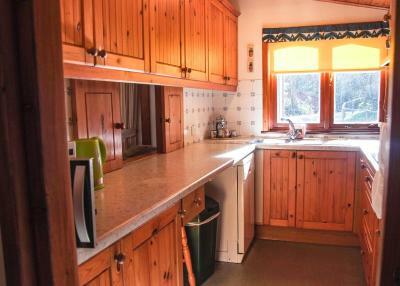 The kitchen comes with a dishwasher and a washing machine. 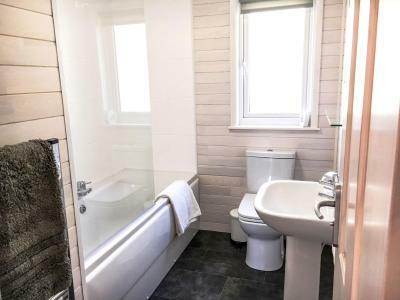 There is a bathroom with a shower above bath and a separate toilet. 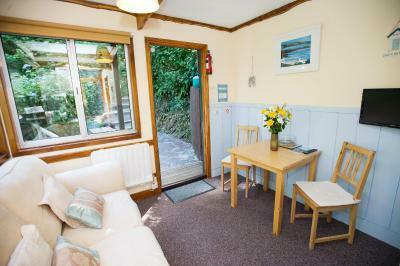 Featuring laminate flooring, double glazing, large decking and off road parking. 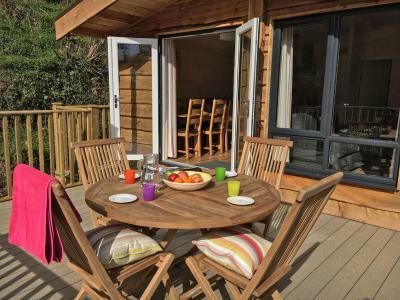 House Rules Churchwood Valley takes special requests – add in the next step! One child under 2 years is charged GBP 5 per stay in a crib. Churchwood Valley accepts these cards and reserves the right to temporarily hold an amount prior to arrival. The on-site shop is open from April until 27 October. As Churchwood Valley is located on the side of a steep valley, the access may not be suitable for those with mobility problems. There is no mobile phone reception on-site. Mobile reception can be obtained a short walk from the site. Please note that WiFi is free only in public areas. 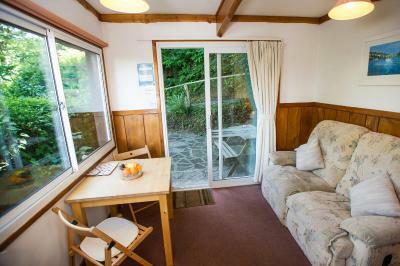 Due to nature of site the property cannot guarantee WiFi in your cabins. 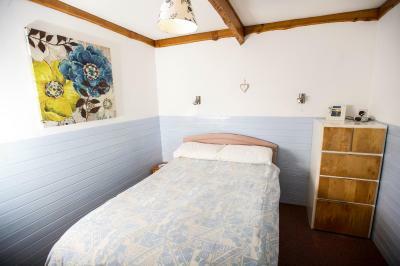 Beds are not very comfortable, still OK but could be improved. Clean and also lovely views. Noticed the condition of the bird hide was rather poor and no food on feeders. Just needs sprucing up a little, could be a nice feature with so many birds around. Also (sorry!) nearly all the bird boxes attached to the cabins had holes enlarged by squirrels. Could fit metal plates or irradicate culprits! Very few facilities on site. Only way to get Internet for the period was to pay an additional £25, no storage space for non refrigerated food items even though its self catering. Could be signposted better. It was all lovely as always. 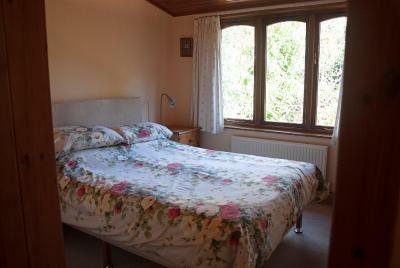 I always love going to Churchwood it is a cosy retreat in a gorgeous place. If you expect lodgings like the Ritz in an eco resort like this then don't book. 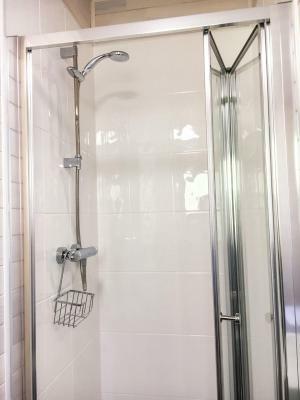 This isn't for people who like to whinge because their shower isn't big enough or the decor is a bit old. 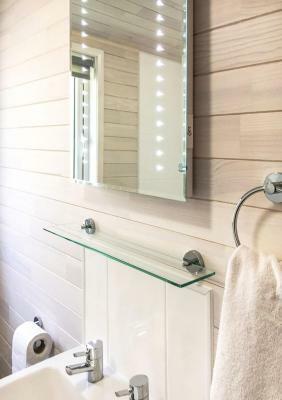 It is basic but clean and comfortable and perfect. 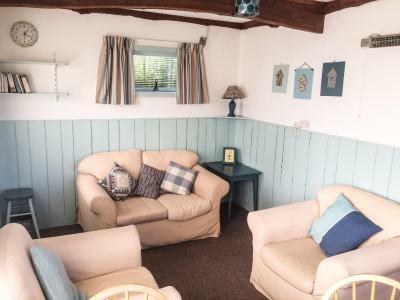 Neither is it a place for people who are so glued to their technological devices that they actually rate their HOLIDAY accommodation on how strong the wifi is! If you are like that my advice is jog on and leave the wholesome, restful environment to people who actually appreciate it. Up until recently the place didnt even have internet to my knowledge and I loved it like that. The family owners are kind and keen to sort out any concerns straight away. The convenience store sells a few bits and bobs including bird seed so you can sit and read and enjoy the mad dash for food right outside your window. You also tend to wake up to squirrels squabbling over chestnuts on the roof in the morning! The walk down to Wembury bay is glorious and well worth doing. I have had literally life changing holidays here - one where I came back home and quit the job I loathed to start again from scratch. So this place is largely responsible for a lot of the happiness in my life at the moment as if it wasnt for the one epiphany I had there I would never have made that crucial decision to start over! 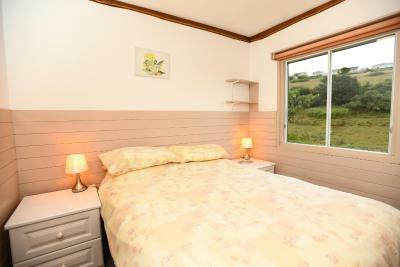 The cabin was exactly that, do not expect a luxury chalet. 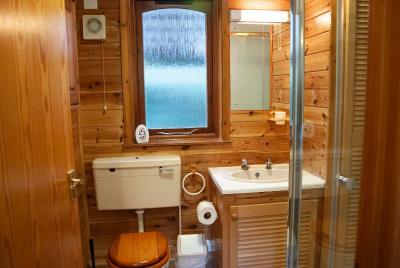 The decor was circa 1980, pine panelling and very brown. The crockery and cutlery was also in keeping with the era. It was functional but no more. 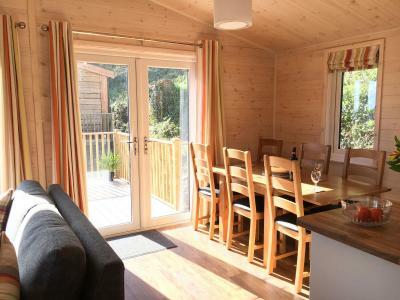 The cabin was for 2 and we just about fitted in with our 2 small dogs. The galley kitchen had a full size cooker, fridge and microwave but there was very little working surface. 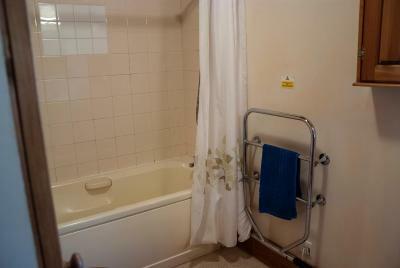 The shower cubicle was very small. 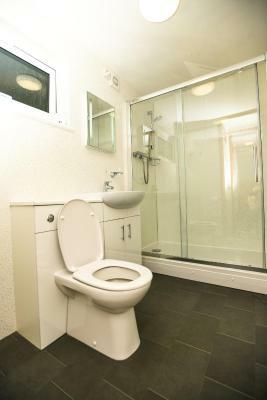 For the overall floor space available everything fitted in but it felt cramped. 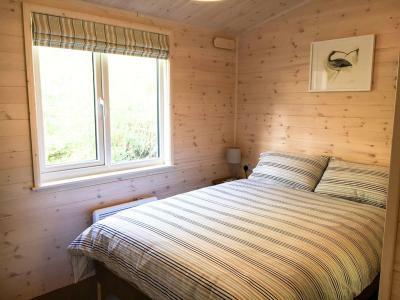 The cabin would benefit from a refurbishment to bring things up to date with some clever design and choice of furniture to maximise the space and may be some modern, matching crockery & cutlery.